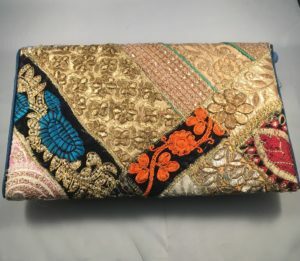 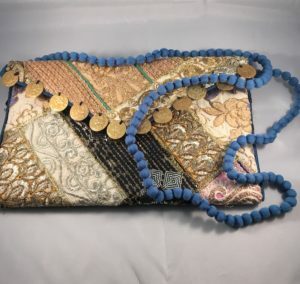 Look at this unique piece of Indian art work clutch bag. 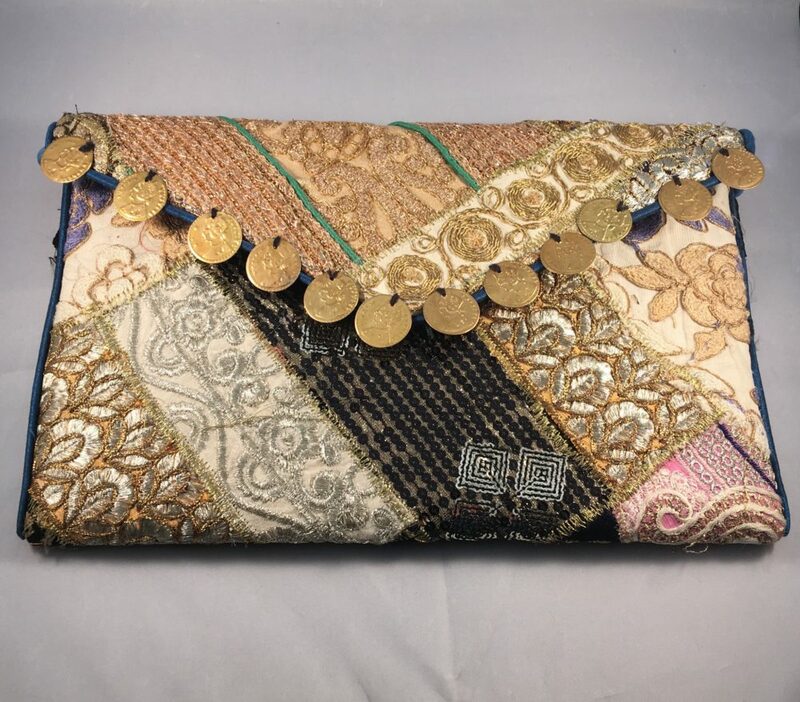 One of a kind Banjara bag made with vintage embroidered textiles.The patterns are beautifully embroidered, with very delicate, coins and Mirror work . The textiles used have a lot of details, each bag is vintage, individually made by hand from vintage materials, giving each bag a unique touch!! 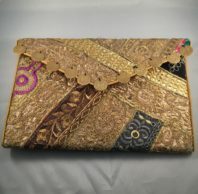 This is suitable on any kind of traditional dress as well as modern too and give a gorgeous overall look. As there is good colour combination it can perfect with any outfit. 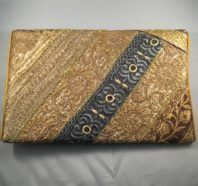 Please Note : Each embroidery is carefully selected because it is a vintage material some small defect in fabric may appear.